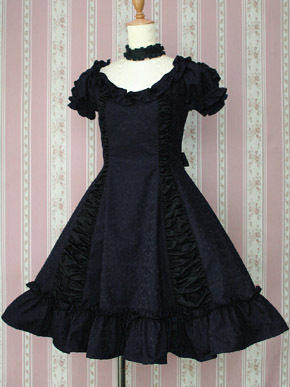 Now available for reservation are Victorian maiden's highly popular Classic Marine series items! At this time, all reservations must be made through email at info@tokyorebel.com. Please note that prices for main series items are promotional prices for reserving in advance. The regular price is shown in strikethrough, and will apply once the reserve period ends. 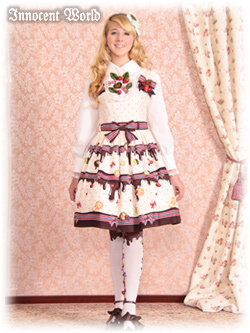 New Innocent World items in stock including Royal Library items! Just a quick heads-up - in addition to the previous shipments last week that we've already told you about, we also received some new Innocent World items including some that we know a lot of you have been coveting! 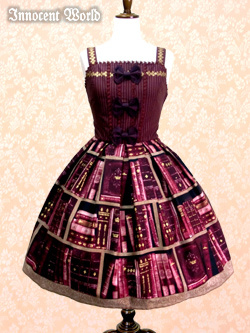 In this shipment are one each Royal Library skirt and Ribbon jumper skirt - these will be the last two items from this series that we'll ever be able to get. Why not pick up a Rose Lace Book Bag to go with your Royal Library coordinate? We've restocked a few of those too. We've also received the Playing Cards Chocolate Heart Bag and matching charms - another item we've received many inquiries about. 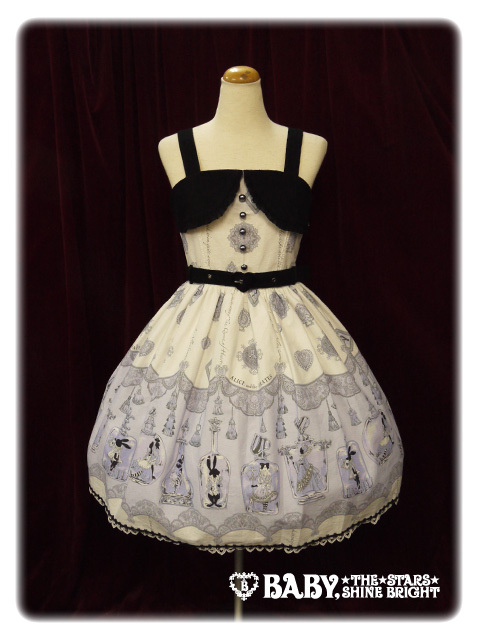 We're also stocking a couple of items from the Tsuchida Yutaka collaboration, including the jumper skirt and tights. This is a cute animal print that's perfect for spring! 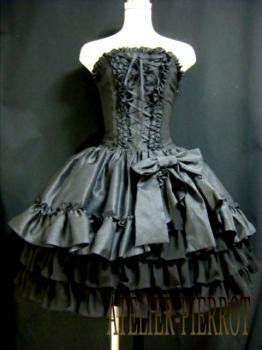 All of these items - as well as last week's shipments - are in our New Arrivals section. This is a big post with three different series in it - please check carefully for your favorite items! Official reservations for all of these series open on March 22 - we are taking early requests. Please note that there is still a chance we may not be able to obtain every item. Innocent World's new Chocolate Fountain series is now available for reservation! Please click each image for more information from Innocent World's web site. 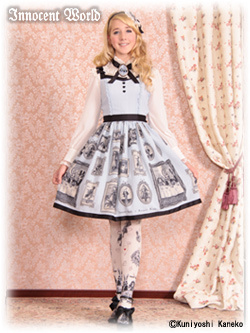 Today, we have the upcoming Gingham Check items from Victorian maiden available for reservation, plus a rare set of overknee socks from the brand! Innocent World has new items up for reserve with artwork by fantasy artist Kuniyoshi Kaneko! Please note that some of these items are already sold out or available by wait list only. We will let you know in our response to your inquiries if this is the case for your desired items. 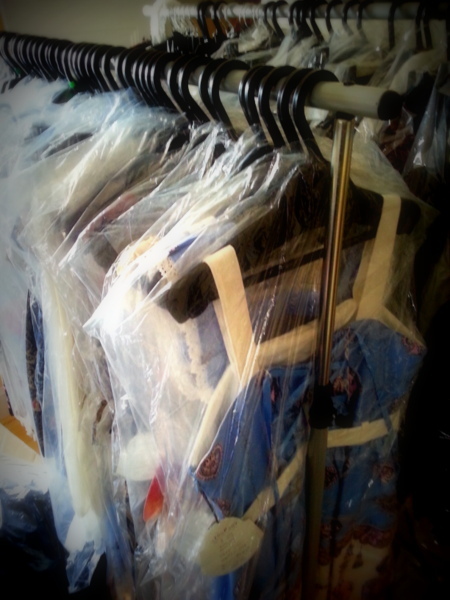 New items received, watch for them online soon! It never fails - we try to space out our shipments so we have new stuff all the time, but we end up receiving a big bunch of stuff all at once. Good news for you when we do finally get everything, though! Now you've got a bunch of stuff to look forward to over the next few days, with new items from Atelier-Pierrot, Baby, the Stars Shine Bright/Alice and the Pirates, and Victorian maiden! In fact, there's so much new stuff that we literally don't have room for it. (That's a small part of our stock space, but it all looks like that right now - totally full.) Gee, we should open a physical store or something. You're gonna need to help us clear some stuff out! We'll post these and everything else we received this weekend and early next week. We did restock the Usakumya Pochettes from Baby, the Stars Shine Bright as well - you can order those now. 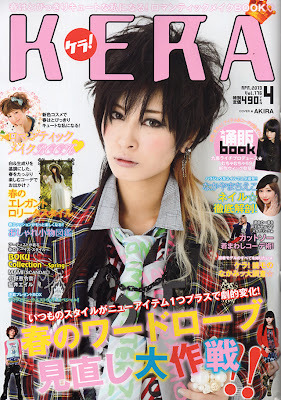 While you're waiting for the new clothing items, feel free to order the latest KERA (issue 176) - we finally received our replacement shipment after our first was water-damaged. Better late than never. Curse you, DHL!